There’s no question, Naples is a hot commodity. Top travel sites such as Trip Advisor and FlipKey rank our community as one of the most popular travel destinations in the United States and even the world. This burgeoning growth in demand also is fueled by a rebound in real estate market values over the past several years, and by record low inventory of available properties for purchase. 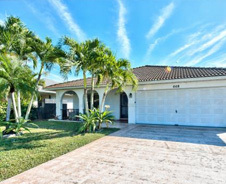 While Naples continues to be in strong demand with snowbirds, the town is busier than ever during the hot summer months. In a recent year, 16 percent of our guests came from overseas. US domestic visitors came from 30 states. 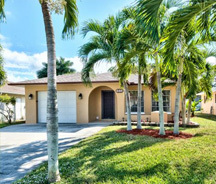 Naples also is a favored vacation destination for fellow Floridians. The vacation rental industry as a whole is exploding. For instance, over the past decades HomeAway has acquired great internet-branded listing sites like VRBO (Vacation Rentals By Owner), VacationRentals.com, and other vacation rental listing sites dominant in both domestic US and international markets. Because the industry is fast-growing, other websites are popping up every day trying to compete with and, hopefully, one day get bought up by HomeAway. For the best results, one must be active on not just one solitary site but MANY. Vacationers are looking for more space, more privacy, and added conveniences that private properties offer and that hotel accommodations do not. Simply put, with a vacation rental you get more for less. Evidence of this: famous hotel brands like Wyndam are acquiring top vacation rental management companies. Plus, top travel sites like Booking.com are now offering vacation rentals in addition to their traditional hotel listings. We expect other large players in the travel industry to follow suit. So who vacations in Naples besides Snowbirds? 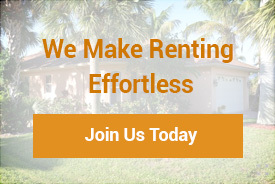 Vacation rentals appeal to a wide variety of travelers. Sometimes it’s just a couple looking for the added privacy of a home or condo. Sometimes it’s families, groups of golfers, or out-of-town guests attending a destination wedding. Sometimes it’s home buyers trying on Naples for size, hoping to see what it feels like to “live locally” in our lovely community. In 2017, our company hosted 485 reservations for just 28 properties. More than 21 percent of those guests were international, traveling from 29 different countries around the world. 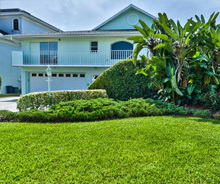 Naples Florida Vacation Homes saw reservations from Argentina, Belgium, Canada, the Czech Republic, France, Germany, Sweden and the United Kingdom. There were even bookings from countries as far-flung as Iceland, Japan, Monaco, the Netherlands, Paraguay, Russia, and South Africa. Domestically, our guests came from 35 different states.The average number of guests per stay was 4.7, and the average length of stay was 8.9 nights. Believe it or not, the strongest category of our guests were fellow Floridians hopping over from the Miami/Ft. Lauderdale area for a weekend getaway.